UPSC IFS Final Results 2018 for Indian Forest Service Exam Final Selection List Results: Union Public Service Commission, UPSC has declared the final result for Indian Forest Service Examination, IFS 2018. Candidates who have appeared in the written examination followed by personality test can check the official site of UPSC at upsc.gov.in for details. A total of 89 candidates are recommended for appointment under different categories. The Main examination was conducted in December 2018 at various centres- Bhopal, Chennai, Delhi, Dispur (Guwahati), Hyderabad, Kolkata, Lucknow, Nagpur, Port Blair and Shimla. The preliminary examination was conducted in June 03, 2019. The candidature of 12 recommended candidates with following Roll numbers is provisional. The “Facilitation Counter” will be available for the candidates on working days between 10am to 5pm. For more information, candidates can visit the official site of UPSC. 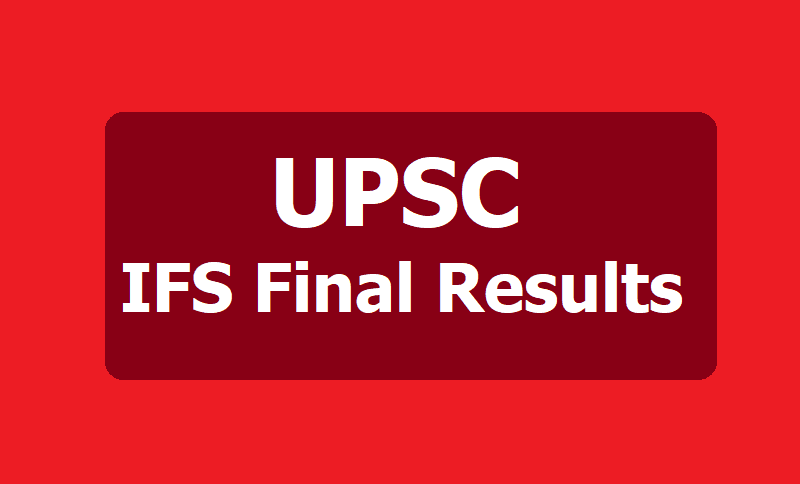 How to Check UPSC IFS Final Result? INDIAN FOREST SERVICE EXAMINATION, 2018 Based on the results of the Indian Forest Service (Main) Examination, 2018 held by Union Public Service Commission in December, 2018 followed by Personality Test held from 28.01.2019 to 01.02.2019, the following is the list, in order of merit of candidates who have been recommended for appointment to posts in Indian Forest Service. 5. The offer of appointment to the candidates whose result has been kept provisional will not be issued till the Commission verifies the original documents awaited from such candidates. The provisionality of these candidates will remain valid only for a period of three months from the date of declaration of final result. In case the candidate fails to submit the requisite documents as required by the Commission within this period, their candidature will be cancelled and no further correspondence would be entertained in this regard.